Can you guess America’s fastest-growing condiment in terms of popularity and sales? Nope, it’s not ketchup, mustard or barbecue sauce. A new condiment has been crowned America’s favorite fastest-growing condiment and it may make you sweat. Yep, you’ve guessed it: Hot sauce. Since 2000, the American hot sauce market has grown by 150 percent. That’s more than that of barbecue sauce, ketchup, mayonnaise and mustard combined. As hot sauce heats up the U.S., businesses, specifically restaurants, are starting to notice and respond to this increased demand. Chronic Tacos has been a front-runner in recognizing this trend and creating their very own and authentic Ghost Pepper Hot Sauce. Numerous Chronic Tacos franchisees reported that their customers were requesting a sauce spicier than their homemade red sauce. When the executive team at Chronic Tacos heard word of this, they knew they had to respond by bringing some more heat to their menu. The Chronic Tacos team tested out several recipes, but after a few failed attempts they discovered that they couldn’t find the right balance of heat and flavor. After some serious contemplation they soon had an epiphany; take Chronic Tacos’ already delicious red sauce and add in Ghost Peppers and habaneros. Doing so gave the sauce a distinct flavor while also bringing heat. How much heat? Well, on the Scoville heat index where a standard jalapeno has a score of 3,500, the Ghost Pepper Hot Sauce heat level is over 1 million. Yeah, that’s pretty hot. 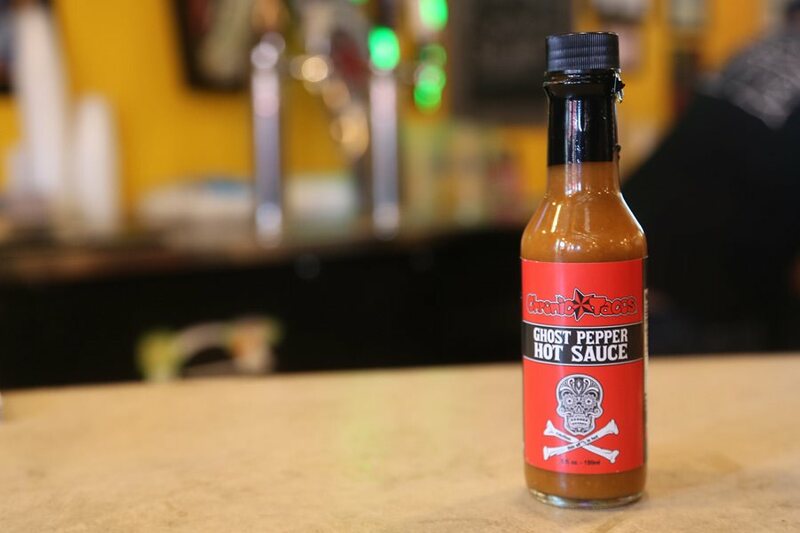 After several months of testing and the loss of several taste buds, the Ghost Pepper Hot Sauce was complete, and customers couldn’t seem to get enough of it. Originally the Ghost Pepper sauce was released as a limited time offer condiment, but the customer demand for the product was so overwhelming, Chronic Tacos decided to bring it back as a full-time menu offering.